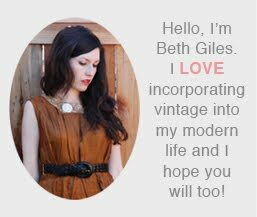 Vintage Clothing Blog | Vintage Wedding Dresses | Salvage Life: New Arrivals: Redesigned Vintage Necklaces! New Arrivals: Redesigned Vintage Necklaces! Just added all of these necklaces (and 2 brooches) to the shop. There are two Long Deco Watch necklaces like the one we sold to Taylor Swift! A mix of new clothes will be coming next week. Have a wonderful weekend! I always love seeing your salvaged jewelry pieces. I love how you put together old bits to make new life!